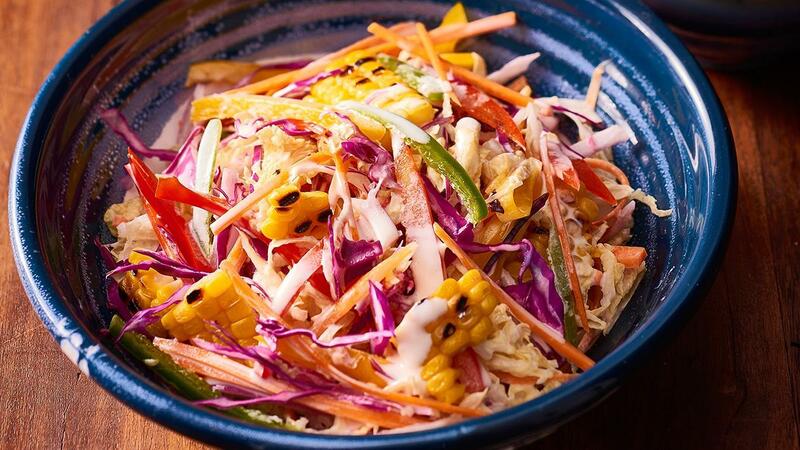 The key to a good coleslaw is a good variety of fresh vegetables and a full flavoured dressing to match. This recipe uses a variety of seasonal vegetables and a sharp lime mayonnaise dressing. Combine KNORR Lime Powder and 150ml water. Whisk in HELLMANN'S Mayonnaise. Place all coleslaw ingredients in a bowl; pour over dressing, tossing to combine. Use a mandolin to slice vegetables to save time.